I am very sorry to hear that your Google and Blogger were down recently. In the future, feel free to contact us on Twitter, and we will take care of you. I just noticed that @Umatter2Chtr2 reached out to you yesterday about a speed issue. If that is still a problem, please let us know, and we will get you fixed. Enjoyed the Minions, by the way. Thanks, Eric. Was a little spooked about the idea of giving out even basic information to unknowns over Twitter, but seems like you Charter guys on Twitter are for real. We're fine now though, and (no offense!) 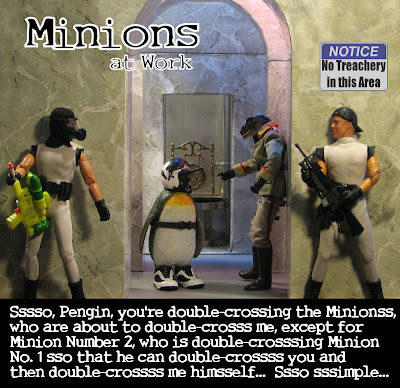 dealing with corporate minions is only fodder for more "Minions at Work" cartoons. Have a good day!